During the worst of the banking crisis and subsequent Great Depression, American banks cut back on all types of financial products, including credit cards. Accounts were closed, credit limits were slashed and interest rates were hiked. Citibank closed an inactive business card I had with them, then Chase forced me to close my Chase business card as I would not agree to a change in terms: a rate hike from 9.9% fixed to a variable rate of Prime + 11.99%. As for my Advanta card: that credit card bank closed all their small business credit card accounts about a year ago. 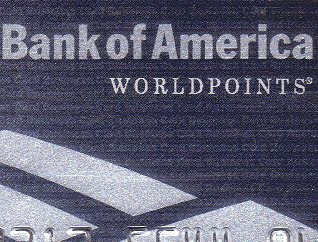 Bank of America didn't cut the credit limit on either card I have from them. They didn't raise my APR or close either account, even though one account has been inactive since I got it back in 2007. A few months ago, I messed up. I missed a payment on my active BofA business card. I was hit with a $45 late payment fee, and my account was suspended (account was still open, I just couldn't make any new charges until I made a payment to cover 2 billing cycles.) I called the bank and explained that I had setup "scheduled payments" in advance, but one can only do this for up to a year into the future. I didn't realize that a year had passed since I setup the scheduled payments, and I needed to setup a whole new set. My mistake could have cost me dearly, but it didn't. After waiting on hold for 12 minutes, the BofA customer service rep' (CSR) removed the late fee and lifted the suspension. He thanked me for being a valuable Bank of America customer (my payment record was spotless up until my scheduling blunder) then told me that I should try setting up automatic payments instead of scheduling. With automatic payments, one can setup a certain amount to be paid each month on an account's due date, and not have to worry about scheduling anything else. I explained that had tried setting up automatic payments a long time ago, but was only able to do so with my personal Bank of America credit card. When I called for help back then, I was told that there was a glitch and that I should be able to setup automatic payment with my business cards within a few days. I should have stayed on top of BofA's progress with fixing the glitch, but I instead opted to use scheduled payments. Do I have automatic payments setup for my business credit cards now? Of course! How often do you read about a bank being so cool about a missed payment? No interest rate hike, no reporting to the credit bureaus. Absolutely no adverse action taken on the part of BofA. Kudos. We will no longer increase your rate on existing balances for late payments or other risk reasons. We will always provide 45 days notice before we increase your rate for future balances. Any amount you pay over the minimum payment will now be used to pay down your balances with highest APR's first. We will no longer charge a fee for going over your credit limit. Your payment due date will now be at least 25 days from the statement closing date printed on your statement. Again, Bank of America deserve a hearty pat on the back for adding a lot more value to their business cards. I'm sure that other credit-card banks will eventually follow suit, which is great. But BofA should be commended for taking the lead.